Explanation: Why aren't these Martian rocks round? 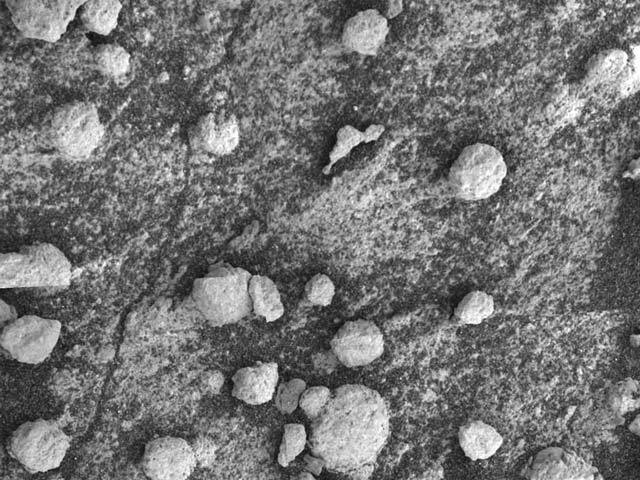 Small rocks dubbed blueberries have been found by the Opportunity rover all over Meridiani Planum on Mars, but the ones perched on Bylot rock have unusually non-spherical shapes. 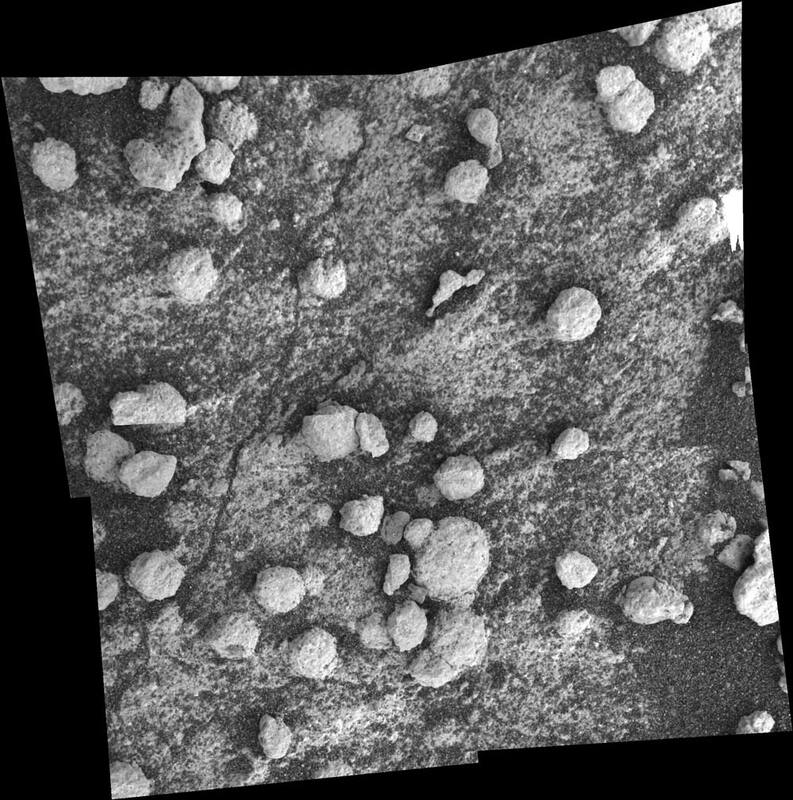 The strangely shaped blueberry rocks are shown above in an image taken by Opportunity's microscopic imager on August 9. Dark sand also covers much of Bylot rock. One hypothesis for the lack of blueberry roundness here is a coating relatively resistant to erosion. The average diameter of a blueberry is about 4 millimeters. The study of these and other rock features is allowing a better understanding of the wet past of ancient Mars.